Selected Villas for rent near Randholee restaurant (Sri Lanka) - Contact us now! 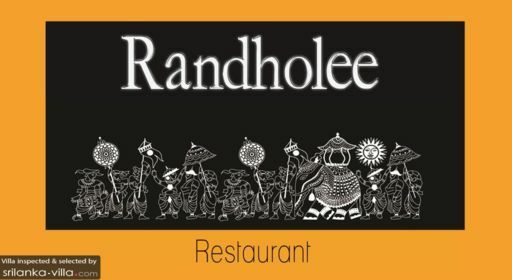 Randholee charms diners with its prompt service, lovely setting, scrumptious dishes, generous portions and fair prices. The menu is extensive, and diners will find a diversity of dishes ranging from seafood items and local Sri Lankan fare, to Western mains and Asian fusion dishes.